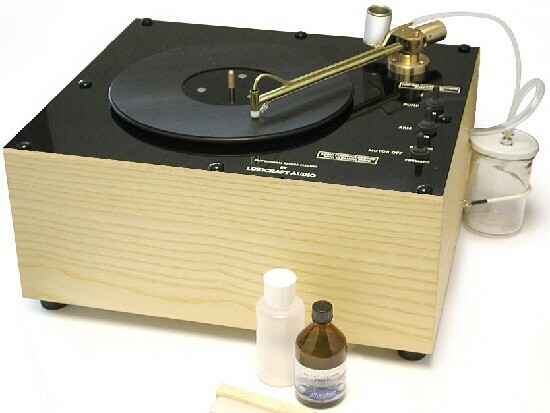 Flagship of the PRC range with the quietest operation, this is a heavy-duty record cleaning machine for record libraries, shops and serious collectors. Earn 2195 loyalty points when you order this item. Loricraft PRC6 Record Cleaning Machine is Loricraft’s latest. Besides its larger chassis, it looks just like existing models in every other respect. 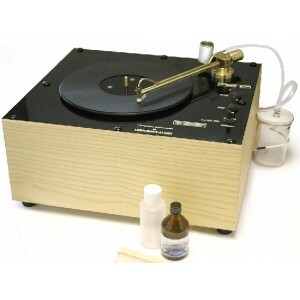 The Loricraft PRC6 is a heavy-duty record cleaning machine used by record libraries, used record shops, and serious record collectors all over the world. The bigger chassis houses a larger pump that provides the same suction as other models but is quieter. The forward/reverse facility aids the cleaning process. Vacuum suction is concentrated in a tiny nylon nozzle tip that rides on a nylon thread, thus focusing the suction action and protecting the record surface at the same time. The antistatic nylon thread is manually drawn out a few millimetres before each cleaning so that the record is only ever touched by a small, clean, soft surface. All switches have rubber covers to protect against spillage. The platter can be rotated in either direction. Any record cleaning solution can be used but one bottle of the LoriCraft recommended L’Art du Son cleaning fluid is included. This needs to be diluted with distilled water. Less than a minute is all it takes to clean each LP side thoroughly, leaving the grooves completely dry. The PRC6 is supplied in matt black as standard and also has two premium options; walnut or cherry wood veneer finishes. All LoriCraft machines use very high quality materials to ensure long life. A hinged, clear acrylic dust cover is available separately for the PRC6 at extra cost.